Family friendly project for back to school! Step five: Cut ears and other features from the fabric sheets, which are lightweight and do not fray. The fabric is thin enough to slip between the top and bottom of the case without being so bulky that the case can’t close. I cut my shapes freehand: a semi-circle for the ears and a stick with a circle on top for the bird’s crest. Slip the fabric between the top and bottom of the pencil case, and hold it in place with a dot of glue. I wasn’t planning to make a peacock animal face pencil box initially, but I’m so glad my daughter begged me to make one for her! I can guarantee that no one in her class will have the same pencil case. 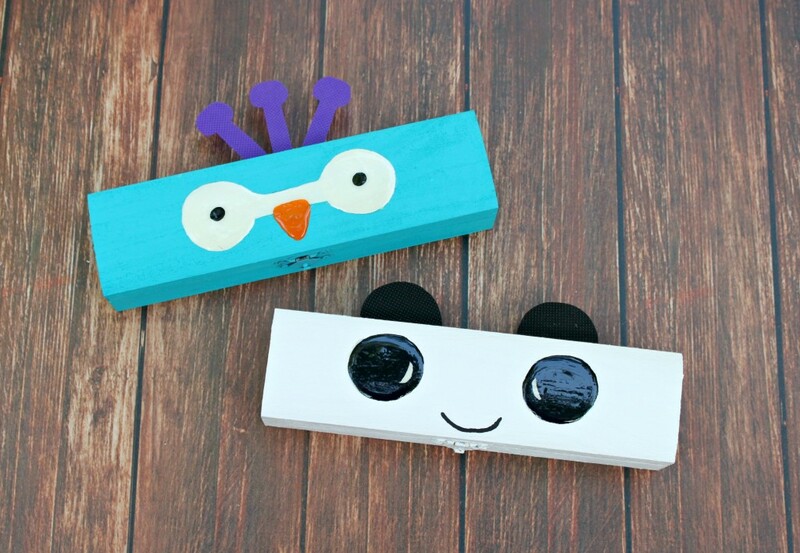 Which animal face will you paint on your DIY pencil case? 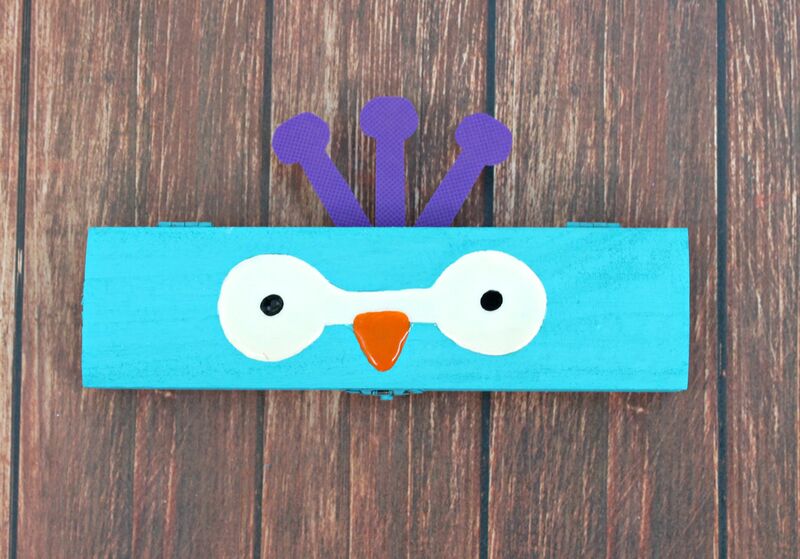 Have fun crafting and creating for back to school! This post first appeared at Crafts Unleashed.